Speaking to a lot of TV people and TV executives lately, I was advised by well-meaning friends to keep it close to the vest. They are adamant that I don’t give out my concepts and ideas. But as you can see, I published what I intend to do on my blog. In my modeling career, my walk was out there. Anyone can copy it anytime……the best ones were the gay fashionistas. In fact, my gay friends would come to my house and plead that I walk for them. Since I don’t do that….. ever…they decide to do it themselves. And they can do it! Pose for pose, tiptoe for tiptoe, hand sway for hand sway, attitude for attitude. They look fabulous! That is probably the biggest compliment - to be copied. 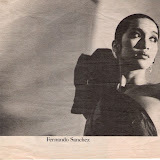 When I was working as a model, it is as if the designers had a universal or collective psyche. For some reason, every season, they seem to have the same skirt length, the same color palette, highlight the same accessory (example: fishnet stockings, Kelly bag). Then once in a while you would get innovators like Vivienne Westwood (the most copied designer in terms of clothing design ideas). Like Azzedine Alaia with his body hugging seaming. Herve Leger with his characteristic pleating. And the real fashion world knows these innovators. These are the leaders of the pack and they separate themselves from the herd. Once it goes down to street wear, which is about 2 to 4 seasons after, the original dress has been copied thousands of times, tweaked for public consumption and really watered down, sold at a competitive price. These designers are elated by their influence in the world of fashion, even though at their ateliers, they are steaming at the blatant copying of their designs. When I was doing campaigns for my lipstick line ANNA BAYLE Lipcolours, our windows and displays at Henri Bendels and Bloomingdale’s were always innovative and fun. I financed my cosmetic company and of course, we were very resourceful with our marketing budget. When we launched the line, because my lipcolors were created for the Asian skin tones, we used the light green bamboo 'sushi rollers' as display trays and complemented them with beautiful orchids. Together with Ruben Nazareth, a creative genius and embelliseur, we would scour the flower market of New York, very early in the morning, choosing the perfect blooms to complement our displays. For our summer campaign, we displayed the lipsticks on ‘martini glasses'. For Fall, we set the lipsticks against miniature paper mache fruits that had autumn colors. A month or 2 later, we would notice that Bobbi Brown or Mac, both backed by the cosmetic giant Estee Lauder would have the same concept in their windows-except bigger. They have the budget…of course! But we took pride in our creations and know that we started something. When I wrote a comprehensive business plan for a modeling school for the Philippines and Asia, I found that investors wanted a modeling agency attached to the school immediately. Six months later, I heard that another model personality from the Philippines went ahead and opened her own modeling school. Even though the business plan had nondisclosure statements attached to it, I find that there is no such thing outside of the United States. Here’s my belief, at the risk of sounding cocky. They might want to steal the idea – but can they execute? Do they have the name? Do they have the history (achievements and credentials)? Do they have the contacts(will their curriculum and team of professional instructors be truly international, if they themselves have not worked abroad)? Now I am creating my television program. Already I see a jockeying for position. That’s fairplay. We all know that this is not a new endeavor; there are many parallel TV shows that will stem out of a very successful TV show. Even China has a TV program training models. I am not worried. What I have to teach is experiential. No one will know what I plan to teach but me and it comes from 25 years of modeling in the international scene. I am confident of the quality of my professional contacts in the international fashion scene; some of them, I plan to invite and involve in my projects. The question I have to ask myself is: Is there anybody else who can do what I plan to do and do it well? So there you are on the catwalk. It is a huge press show in Paris. The master designer has designated the clothes for you alone, knowing you will do them justice. You have ascertained what role you are going to play in this ‘theater’ production called the press show. First, you must be beautiful. Second, you must sell the clothes. Then you must make sure you give the designer what he wants because ‘you are only as good as your last show’. In this case, the designer wants his clothes in the front pages of newspapers, he wants a big spread in fashion magazines and he also wants a great video of the fashion show that he will show to the buyers and department stores. The designer wants every single detail of the outfit recorded on that video. In my modeling career, once I started to work with a designer, I was booked continuously from then on; some of them going for a span of 10 to 15 years. There was never a season where it was a question mark in my mind- (“Maybe they’ll use me this season, and maybe not this season.”) I was always in their list of models. Designers change their roster every season, to bring in a different look. But they always have their cadre of models (an A-list) they want to work with. Now that we are in the show, there are a multitude of people who want and need something from you as a model. And, of course, you have to give them what they want. Here is a very hungry group of people who are vying for the perfect shot of the garment. All through out my modeling career, I know that I owe some of my success to this group. It is a very simple thing. If they loved you, they shot you. If you give them what they want, they will keep shooting pictures of you. So be beautiful, be professional – GIVE THEM THE SHOT. It is as if you are traveling with a band of big brothers - as models and fashion press photographers go from city to city, season to season, designer show to designer show. Models and fashion photographers are joined at the hip. If you did 9 shows in a day, they probably did 10 or 12 shows. They saw you at 9:00 a.m. and are still with you till 10:00 p.m. on the last show of the day. They wait long hours for the show to start and jockey for position in the photographers’ cage. Some are able to come backstage to scout the overall “look” and socialize and take beauty pictures. But most have a grueling schedule, carrying heavy equipment, lining up outside the tents before they are let in to set-up, protecting their ‘working space’ before the show starts. (Where is it good to position myself? That new photographer just got my spot….let me tell him to skedaddle out of there because I am shooting for Vogue. I am shooting for WWD. I am shooting for the house. I am senior here.) Trust me…there is a pecking order. And of the mainstay photographers, I have come to know and respect a lot of them. When I first started, there was this Italian, the most vocal of the bunch, Graziano. He used to talk to me backstage when I first arrived in the scene. He probably knew that I was terrified out of my wits. But still, he was friendly and respectful. You could feel that he is curious and is trying to make a connection. But he was smart….because when the show starts, he is certain to get a good picture. You are walking down the runway, blinded by the spotlight, hundreds of eyes on you; directly in front is a sea of men and women photographers that are in the press cage, and on both sides of the catwalk, it is shoulder to shoulder- a big voice booms when you get to the top of the runway. It is Graziano screaming, “Anna!” For a split second, you know it’s him and he is at top center of the blurred flashing mass of photographers and you give him a big smile or a glint in your eye or a fierce pose. Over the years, I have come to know the voices of many photographers, especially the ones that are lined up along the catwalk. I see them in my peripheral vision and when they call my name out; I make sure to turn around or spin to give them a picture without disrupting the main flow of the fashion show. It is a timing thing. They are also confident that even if I don’t turn immediately, I will turn for them…and they will get what they want. And it is never my face that I am concerned about. If the best feature of the dress is the back, then I give them the back shot. If it is the long silhouette of a mermaid or the flouncy skirt, or the crispness of a business suit ..then that is the shot I give them. It is moving photography. So when I am sent out, I start my walk and the photographers start screaming my name….I give them what they want. They want a good picture…I lock in like a sensor towards the direction of their voice. I turn. I pose. I give them the biggest smile…. tomorrow, my picture is the in paper. 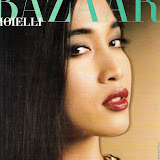 When I started modeling, putting fashion shows on film and on TV was not yet the norm. Elsa Klensch of STYLE for CNN put fashion on the television map. Now every channel is doing what Ms. Klensch has started. Another innovator was Norma Kamali who used videos to sell her clothes, specifically her swimsuit line. Now, every department store designer stall space has fashion show videos in the background. As for the videographers, it was instinctive for me to walk straight down. It was my style and my method. I figured that if I walk a straight line, I will never be out of the main source of light. The videographer needs to focus with one eye on something moving smoothly. He needs and wants a clean continuous shot. He can’t have girls bouncing around, going hither and hie, turning and losing balance. Videographers are already pre-editing when they take a shot. Otherwise, the footage of a dress or a model is cut and is in the editing floor. You really don’t want your footage to be cut…so again, you have to give them what they want. between their ears but a pretty face. Asian models to emerge in the global fashion scene! As one of the CNN STYLE senior producers who oversaw all the fashion model stories for 13 years, in addition to being responsible for our show's other topics, I agree with the article's mention of you being on par with Cindy, Naomi, Christy, Linda, Paulina, etc., the editorial stars. Because during the mid-to-late-80s, you and other so-called runway stars such as Amalia, Dalma, Khadija, Pat, Mounia, Iman, Romney, etc., ruled the catwalks. And modeling became more integrated, not of two distinct worlds - editorial and runway. Both arenas merged during this time. Therefore, the print girls began to be seen more and more on international runways. They came into your house, so to speak. I think it may have worked well for everyone. The exposure was enormous and the stakes were uncompromisingly high. 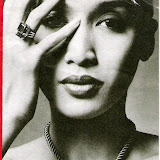 Only the true professionals succeeded, which is why I agree that you wholeheartedly were the first Asian supermodel. Keep up the good work and continued success. A question that I get all the time is what is it like being a model? Everyone seems to think that fashion is all glamour. Well, yes, the perks of being a model are great - travel, luxury, adoration, substantial financial gain, and a great big boost to one's ego. On the flip side of that (and there is always a flip side). It will not last forever. You give up your youth and leave your dreams of having an excellent education (a masters in something, perhaps. ), of settling down and having a child, etc. 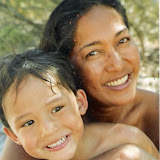 You get used to a way of life that when you stop modelling you may not be able to support unless you marry a rock star. The biggest plus for me - modelling was an outlet for my modest creativity. I loved working with all the designers, hair dressers, make-up artists, stylists, photographers. These are all creative people who put their art in what they were doing. For me, (and not to undervalue the word 'art'), I always wanted to put my special stamp whenever I walked down the catwalk. It was great medium to express myself because I was always changing roles, from one dress to the next, from one designer to the next, from haute couture to ready-to-wear. Modeling is hard work. But like everything in life, if you love what you are doing, you seem to forget the pain of having your hair pulled at constantly, the agony of putting shoes 2 sizes too small,the hunger of when the last time you remember eating was yesterday morning, the restless travelling and being expected to work immediately and be bright and beautiful after a 14 hour plane ride. Modeling is a job, really. But if you have the dreams, coupled with the stamina, the discipline, and the confidence...the rewards are great. If you love your job (no matter what it is), in this case modeling...it will feel like a lifelong vacation. Twenty five years of modeling went by so fast for me.